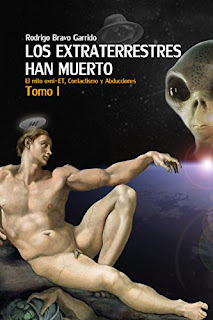 We refer to "The Extraterrestrials have died", of the Chilean investigator colleague Rodrigo Bravo Garrido. It is a well-written text full of references and containing copious information. It is essential for any researcher and rational scholar of Unusual Air Phenomena. A starting point for some who were enthusiastic about the E.T. hypothesis to take the fresh air of reality.